It’s been a busy few days in the Baltimore tech scene, sparked by the recent changes in leadership at the Greater Baltimore Technology Council. While I have been on the board since 2004, because I was away on travel the last two weeks, I did not directly participate in the decisionmaking process that led to the most recent changes. In fact, I’ve been largely consumed with building my new business (410Labs) for the last year and I’ve not had time to participate in GBTC as much as I’d like. However, there’s been a lot of speculation about the motivations and thinking behind the change, and as I’ve at least been a part of the ongoing conversations that led up to it, I feel compelled to speak up to set the record straight. Here’s a brief recap of the facts. 1999-2007: GBTC was setup as a standalone organization and was extraordinarily effective at rallying the community, building new programming, and creating connections, under the leadership of Penny Lewandowski and Steve Kozak. 2006-2007: The GBTC began a long term strategic assessment process, focused on modernizing the group’s technology systems (databases) and also providing value to both small and large businesses. Several recommendations were made with a goal of “building the innovation ecosystem” in Baltimore. I participated in this “strategic planning committee” at that time. 2008-2009: Community-developed events like Ignite, Barcamp, SocialDevCamp and others had begun to cause many to question GBTC’s role: was it for networking events, or educational events? Was it focused on small businesses, or big ones? How would it be funded? What was the membership model? The Strategic Planning Committee grappled with many of these questions. January 2009: the board formed a “Strategic Advisory Committee” co-chaired by me and Rick Geritz, another local tech entrepreneur. We conducted a series of interviews and surveys to help understand perceptions and best potential roles for GBTC going forward. May 2009: We prepared a set of recommendations and submitted them to the board. The recommendations included the idea that the group should, in addition to focusing on the needs of larger companies, also focus on cultivating entrepreneurs and driving entrepreneurship in the region. The board approved our recommendations and authorized Steve Kozak to move forward with implementing them. June 2009 – June 2010: Kozak and the board engaged in a process geared around making the changes we recommended. (The changes would, in fact, ultimately be quite sweeping and could not be implemented overnight.) As part of that process, several additional ideas and models were explored. June 2010: Ultimately, the board came to feel that Steve Kozak was not the right person to implement these changes, and sought to go in a different direction with leadership. This is not a ding on Steve; he’s a strong and talented leader who did much good for the organization. But the board felt that it was time to make a change in order to more quickly implement its strategic plan, a move which by that time had gained some urgency. December 2010: After reviewing all of the candidates, the Search Committee recommended that the board hire Sharon Webb as CEO, and appoint Gunner as Chief Operating Officer. Webb would be tasked with implementing the strategies outlined as part of the strategic assessment conducted in 2009-2010 and would accordingly have full authority to hire, fire, and make tactical changes, as required. 2011: Webb got up to speed with the organization and interviewed many members and partner organizations to get a feel for how to best proceed. She did an admirable job, and has a strong background in leadership and strategic change. However, as an outsider to the tech community, some wondered if she was the right person to lead the group. Changes in leadership led to many staff departures, including Gunner. This is understandable and not a reflection of anything Sharon did wrong. On the whole, the group had made some bold moves and was moving in the right general direction. 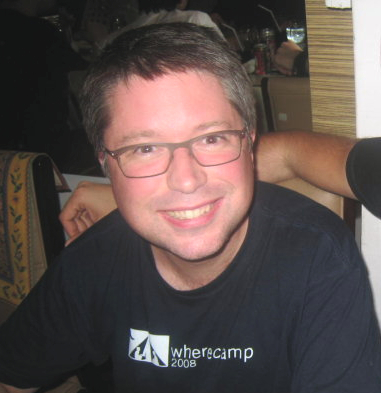 December 2011: Jason Hardebeck, who in 2001 had founded WhoGlue, one of the first social networking companies, just completed the sale of his company’s assets to Facebook. Hardebeck has long-time ties with GBTC and has known several board members (including myself) for over 10 years. As an energetic, experienced entrepreneur familiar with issues affecting large companies, small companies, and GBTC, he appeared to be a “catch” for the organization. The board made the decision to offer Hardebeck the executive director job, hoping to accelerate its new strategic plan, and put someone in place who was more directly acquainted with the Baltimore tech community. Again, this is not a statement against Sharon Webb, it was just an opportunity to move forward with an exceptionally strong candidate. Had the board waited, Hardebeck would likely have moved on to something else. So, that’s the truth. All of it. Some have accused GBTC of trying to “spin” its PR message, and while it’s true that the group cares deeply about protecting the reputation and feelings of the folks involved in a potentially challenging situation, there has certainly been no effort made to conceal the truth. Others have even gone so far to say that there are tones of sexism in this action by GBTC, and that GBTC’s board must be dominated by “white males.” This is a particularly daft unfounded line of thinking, as the board is quite large and is made up of a large contingent of brilliant, strong, women and men, including many people of color and diverse backgrounds. While white males are not under-represented, charges of sexism (or any other -ism) are completely unwarranted. Historically this is a board that employed Lewandowski, Gunner, a staff of females, and hired Webb. Enough conspiracy talk. If you’ve not had a chance to meet Jason Hardebeck yet, I encourage you to do so. He’s smart, understands entrepreneurship, and Baltimore Tech. He’s already making changes at GBTC, including blowing up its office in order to put its staff out into the community. But the full story is complex. As mentioned, he started WhoGlue, one of the very first social networking companies — before LinkedIn or Facebook, back in about 2001. He was probably too early. He pursued alumni association contracts and built a successful business. Around 2003, he acquired a product (and an associated set of patents and a developer) from Siemens, the German communications firm, which would help him to expand his company’s product. He did that and expanded its capabilities, and continued to expand his business. However, due to a variety of factors, his product did not evolve into LinkedIn or Facebook, despite being early to the social networking market. However, he owned some valuable intellectual property, namely patents for mechanisms for controlling what information people can see about each other in the context of a social network. He put these patents up for auction, and there was considerable interest. My understanding is at this point he contacted Facebook to inform them that they were in violation of his patent portfolio, and to inquire about a settlement. I believe they responded with a cordial, “So sue us.” (Facebook’s approach to IP has been from the start to settle on an as-needed basis.) So he did. This led to a settlement and acquisition deal, which I suspect Jason can’t say much about himself because of the terms of that arrangement. So, to dismiss Jason as a mere “patent troll” is to severely misunderstand his background and motivations. He was early to market, made substantial investments in building a business, did so, and then acted to leverage the assets he had built up using the laws afforded by our system. This is totally reasonable, and if you spend some time talking to Jason, you’ll see that he totally “gets” both entrepreneurship and technology. I don’t say this about many folks. There is a cohesive vision for tech in Baltimore coming together now, between GBTC board members and others in the community. People like me, Jason Hardebeck, Greg Cangialosi, Mike Brenner, Jason Pappas, Tom Loveland, Mike Subelsky, Ann Quinn, Newt Fowler, Ellen Hemmerly, Ann Lansinger, and many others are starting to coalesce around a common set of goals, and agree about what the future can look like. There is more agreement than disagreement. Tomorrow I’ll start to outline more of that vision. But I’ll leave you with one last thought. If you don’t feel like your voice is represented in the conversation about Baltimore Tech, speak up. If you don’t think GBTC represents your views, we invite you to ask to join (or present to) the board. GBTC is all of us. There is no wall keeping out certain kinds of voices. It’s all about participation. I volunteered my voice in 2004. There’s no one stopping you from doing the same today. In fact, it’s more urgent than ever. P.S. – For what it’s worth, I did not run this post past anyone at GBTC, its chairman (Jason Pappas), or the board. It’s the truth, and I believe the truth is always the best PR. A lot of people talk about innovation in terms of fulfilling an unmet market need. Specifically, there’s a lot of emphasis on “solving problems.” (I’m looking at you, Dave McClure.) The theory is that entrepreneurs should work on solving a problem that lots of people have, and not get too focused on some technology. That’s fair advice. However, when entrepreneurs hear this, their first instinct is to often to go ask people about their problems and then try to solve them. Or they look for markets where there is a lot of money being spent. “The best innovations are those that solve a problem that people didn’t even know that they had,” says Paola Antonelli, curator of design and architecture at MoMA. Twitter certainly falls in this category. In fact most people were sure they didn’t need Twitter, but now it’s a central part of our media landscape. This class of innovation is the sort you have to shove down people’s throats at first, but then changes the world forever. And they’re tricky to find because no one will tell you they need them. And there’s no market study that outlines the opportunity. Thinking about this, and stealing some good ideas from design thinking pioneers like Don Norman, Tim Brown, and Daniel Pink, I’ve settled on four key elements that entrepreneurs can use to think about innovation: design, affordances, emergence, and appeal. Steve Jobs is famously quoted as saying, “design is how it works,” and he’s right. How it works is determined by the design specifications and constraints. If it is software, the major design elements include aspects like synchronous vs. asynchronous, private vs. public, one-to-one vs. one-to-many vs. many-to-many, market size, viral reach, and mode of access. There are many other elements that determine the nature of a product’s design. The outward aspects – how it looks and feels – are important insofar as they impose an additional set of operational constraints: what’s possible, what’s most likely, how the “happy path” feels, and how brittle the experience is. When most people think about design, they think about “how it looks.” We’ll get to that in a minute. When you think about design, you really are determining “how it works,” and it’s the most critical part of creating an innovative product. Every design offers a wide range of affordances, and you should think critically about what they are. Sometimes a design enables new behaviors that its creators did not predict. Users of the product start behaving in a new way that was not anticipated, though it is allowed by the original affordances (say hashtags on Twitter). Sometimes the emergent behavior is incorporated back into the original design (such as when Twitter adopted hashtags and @ replies, and tracked their trends). Emergence is usually a happy accident. Biz Stone, co-founder of Twitter, says, “always allow a seat at the table for the unknown.” That is an excellent design goal. By leaving a few doors open, one allows for this kind of emergent behavior to occur, and to capitalize on it. Designers almost never consider all of the emergent possibilities that their designs afford. Being open to emergence, and incorporating it into later designs, is key to innovation. This is really a subset of design, but it’s worth discussing all by itself. Your product should have curb appeal and create an emotional connection with people that causes them to return to it again and again. The finest Swiss clockwork will not go anywhere if it is packaged in an ugly shell. While design is “how it works,” your product’s human appeal has everything to do with “how it works with people.” Because without ongoing engagement from people, most products cannot survive. So, how it “looks” certainly matters, but only insofar as it affects its ongoing appeal, and “how it works with people.” We know the best products are those that create that emotional, nearly-religious connection, and this can’t be overlooked. If a design affords a range of emergent behaviors, if it can be distributed to a large group of users, and it can be made appealing and inspire devotion, odds are it’s something worth experimenting with. The odds that the ultimate utility of an interesting design will exceed early predictions is very high. The success of the Wii is one of the wins that stymied many engineers. “The graphics sucked, the games were primitive, and there were better technologies on the market.” And those things were not the point. The Wii won because of its design, it affordances, its appeal, and the emergent behaviors (and user communities) it enabled and reached. So be playful in your designs. Give things a chance. See what happens. Learn from emergent behaviors. And always leave a seat at the table for the unknown.